2018 is a great time to actually achieve your New Years goals within 12 months. Set goals as an exercise to reconnect with big-picture ideas for your business. Find a neutral party to advocate your long-term goals and to help hold you accountable. If you’re wondering how to achieve business goals that you’ve set for yourself, you’ve come to the right place. The end of the year is a natural time to do some reflecting and, unfortunately, many entrepreneurs will find that they were unable to achieve what they set out to do in the last 12 months. If you find yourself in this predicament, you’re not alone. According to U.S. News, approximately 80 percent of New Years resolutions fail by February of each year. Based on this statistic, it should come as no surprise that expert advice on how to achieve business goals is a widely sought out topic. Deciding what to do differently in 2018 is no easy task, but setting business and personal development goals at the beginning of the year will help set a positive intention for the next 12 months. Furthermore, it is an important process to help you regain focus on the big picture and realize what aspects of your investment activities should be prioritized. Next year, try taking your resolutions to the next level by implementing a system of accountability for achieving your goals. By following the five steps below, you’ll be sure to look back on the year with a sense of accomplishment. If you find yourself setting New Years resolutions, both for yourself and for your business, yet find that you’ve given up half way through the year, you’re not alone. More often than not, entrepreneurs start off the new year with positive intentions but do not establish benchmarks or checkpoints to track progress made towards these resolutions. Without implementing a system of accountability and measurement, big-picture objectives tend to fall to the sidelines while busywork gets in the way. By implementing these five practices below, 2018 is sure to yield great results for you and your business. The very first step towards setting your business mindset for 2018 is to write down all of your goals. This exercise should be done at the very beginning of your exercise to help you set your goals. First, make a list of any and all goals that come to mind, such as long-term business goals, short-term goals, financial goals and growth goals. Specific examples include the number of wholesale deals or rehabs you would like to do in the next year, or perhaps growing the number of people on your team. The act of writing down all of the goals that come to mind help you gain a bird’s eye view of what you find important, which will also help you narrow down and prioritize what you would like to accomplish in the following year. Once you have selected your list of 2018 business goals, be sure to write them down again into an organized list. The act of writing down a specific list of goals has been proven to have psychological benefits. Dr. Gail Matthews of the Dominican University of California conducted a study of 267 participants of all ages, and found that those who wrote down their goals were 42 percent more likely to achieve them than those who did not. Creating vision boards is a popular practice in mindful goal-setting, especially for visual types of entrepreneurs. Prominent psychologists and philosophers who believe that the practice of visualization promotes the law of attraction. To create a vision board, start by collecting images and objects that help represent your goals. Also, focus on imagery that represent how you want to feel, not just those that represent things that you want. For example, have you ever come across a branded item that stirs up positive emotions? This could be a business card, postcard, coaster, or any other type of branded marketing material. Including such an item on your vision board could help inspire your own branding ideas. A vision board can be created all at once, or built up throughout the year. Whichever option you go with, don’t forget to put it up somewhere you can see it every day, such is at your office or in your home. Seeing it daily will help automate regular visualization exercises. There are no hard and fast rules when it comes to journaling. Some may opt for the traditional leather-bound notebook while others will journal using an app on their smartphones. First and foremost, the act of writing down thoughts helps organize feelings or thoughts that may be confusing or overwhelming. Do you often find yourself lost in thought, except those thoughts are constantly in conflict with each other? The simple act of jotting down re-occurring thoughts will help organize and clarify what goes on in the mind. Journaling has been proven to benefit the entrepreneur and business mindset. For one, it will help hone the mission and vision for your business by identifying over time what core values and competencies rise to the forefront. It is also a private, introspective space to draw out new ideas or help brainstorm creative solutions to problems. If for nothing else, the act of journaling will help keep you accountable towards your 2018 goals. By tracking your activities and accomplishments on a daily basis, you are sure to become more mindful about what types of tasks help contribute towards your big-ticket items. When devising a strategy on how to achieve business goals, be sure to implement a system of reviewing your goals on a regular basis. Whether it be weekly, monthly or quarterly, entrepreneurs who commit to routinely checking in on their goal progress will be sure to have higher rates of success. The practice of goal review will not only help keep you accountable, but will force you design goals that are realistically attainable and measurable. If the goals you have set for your business are too abstract or too difficult to achieve, a dedicated review session will help you adjust them in a way that is most productive for your business. While reviewing progress made towards goals, which can be done in the journaling process suggested above, reflect upon what could have been done better, and what actions will be taken next. If you feel like you haven’t accomplished much, don’t beat yourself up. Instead, isolate the reasons why you were not able to make progress, such as limitations on time or resources. Simply being mindful about identifying potential roadblocks and making efforts to alleviate blockages will help anyone get closer to realizing their goals. Finally, make sure to schedule in a final review to be performed at the end of the year. This birds-eye reflection will help you set intentions for 2019, and so on. Meeting regularly with a mentor or coach is highly recommended for all aspects of personal and professional development. A mentor will serve as an advocate who will help you figure out how to achieve your business goals. If for anything, simply setting routine check-ins with an outside party will help keep you accountable. Be sure to set homework assignments with specific action items to be completed by the following session. If creating vision boards or journaling doesn’t quite fit your personality, a good coach or mentor will design exercises that will best complement your entrepreneurial style. In addition, a neutral party will help keep you in check of emotional decision-making, as well as help provide a different perspective on how you may better achieve your goals. A mentor can be someone who you admire in your own industry, but keep in mind that coaches or mentors who specialize in developing leadership skills or the entrepreneur mindset can also serve as a great resource. 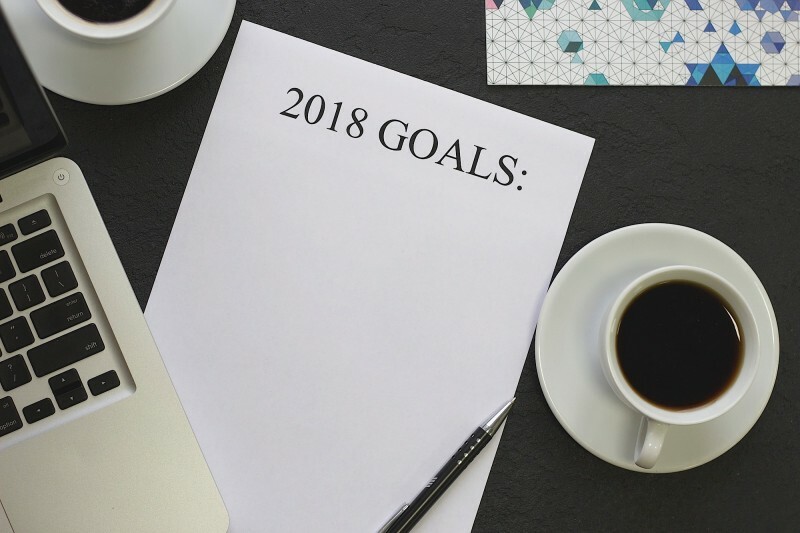 Setting goals at the start of a new year may seem like a worn out cliche, but nevertheless it is a practice that can be great for business and personal development. If you’ve wondered how to achieve business goals without allowing them fall to the sidelines, try testing the toolkit above. Whether you implement all five practices or a select few, you’ll be sure to heighten your entrepreneurial mindset in 2018. 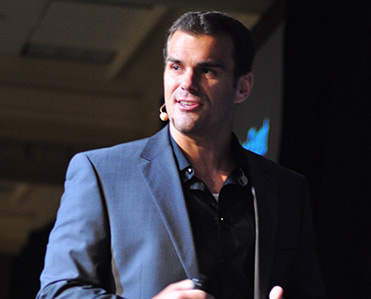 Do you have your own suggestions for how to achieve business goals? Please feel free to share them in the comments below.